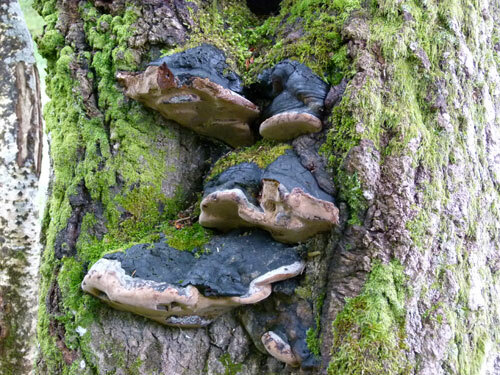 During the Bioblitz Simon Moore drew my attention to some bracket fungi five feet or so up a tree. The fruitbody looked like Phellinus igniarius (Willow bracket) except this was not a willow but a poplar!! 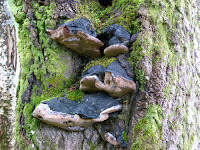 I recalled something about a phellinus specific to poplar. The tree I am now led to believe is the Grey Poplar. 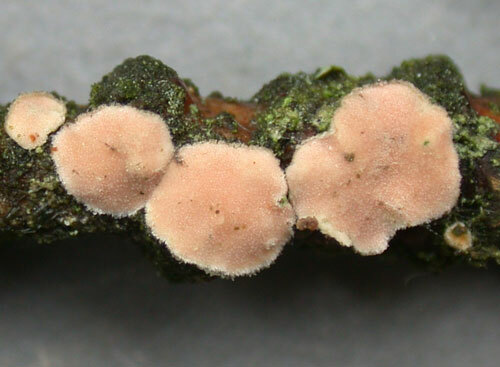 During my visit to the New Forest Bioblitz at Boldrewood yesterday I found a pink discoid fungus on an oak twig situated deep in amongst the bracken in a gutter which looks to me like Aleurodiscus wakefieldiae (English name: Pink disco).